A Gisborne retailer has been sentenced to seven months’ home detention for hiding more than $1 million in cash sales from his accountant to avoid paying tax. This is a timely reminder that the IRD takes any attempt to avoid paying tax very seriously. 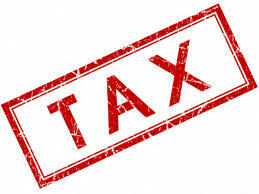 It is essential to inform us (or your tax agent) of any cash sales you do not bank but retain as drawings. Please note that best practice is to bank all cash received and then take drawings from the bank account. Such a policy makes it harder for the IRD to argue that cash sales have been omitted from your tax return. The Government is asking for feedback on proposed changes to child support, student loan repayments and Working for Families Tax Credits. It is proposed that child support payments are based on recent income information, and are automatically deducted from salaries or wages. The proposals concerning student loan repayments are designed to help the borrowers avoid getting a bill at the end of the year. It is proposed that Working for Families Tax Credits are based on actual income rather than estimates. The full proposals are available on the Making Tax Simplerwebsite, where you can also lodge your comments. ACC have launched a new online service to help business customers manage their account and levies online. When businesses have registered, they can view invoices and transaction history, update contact details and pay invoices. Visit the ACC website to register your business. The new information sharing agreement between Inland Revenue and the Ministry of Social Development came into effect on 31st August 2017. The agreement allows the two agencies to share information to assist in a number of areas, including assessing entitlements for benefits and subsidies, and assessing and enforcing tax obligations. The IRD has released statement IS 17/07 on fringe benefit tax, which explains how FBT applies to motor vehicles, how to calculate it and exemptions. The statement highlights that FBT applies to a motor vehicle when the vehicle is made available for an employee’s private use, not when the employee actually uses the vehicle privately.